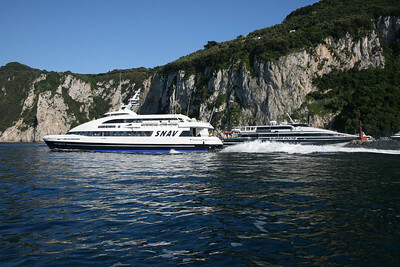 2011 - HSC SUPER FLYTE maneuvering in Capri. 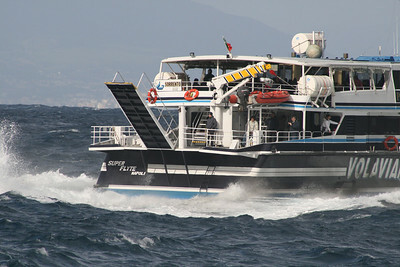 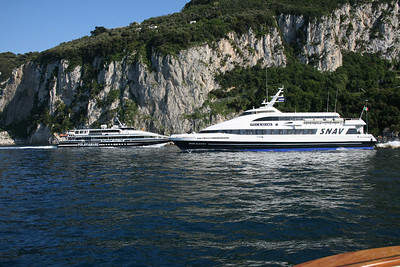 2011 - HSC SUPER FLYTE arriving to Capri. 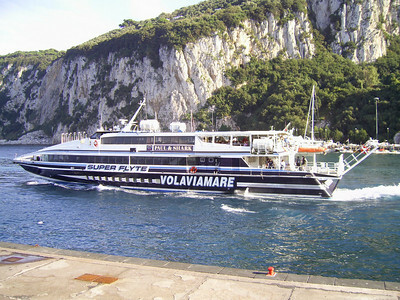 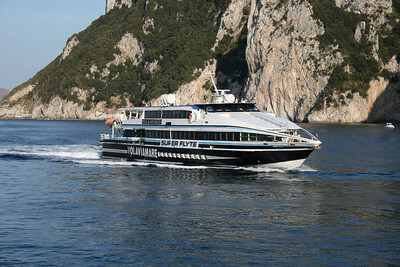 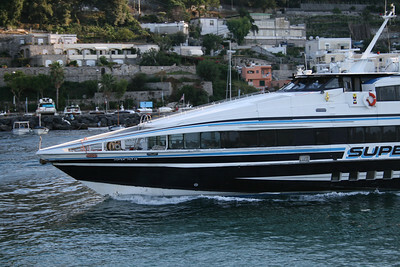 2011 - DSC SNAV ALCIONE crossing HSC SUPER FLYTE out of the port of Capri. 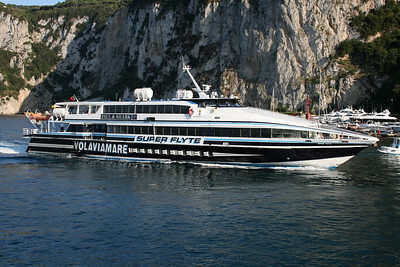 HSC SUPER FLYTE departing from Capri to Sorrento. 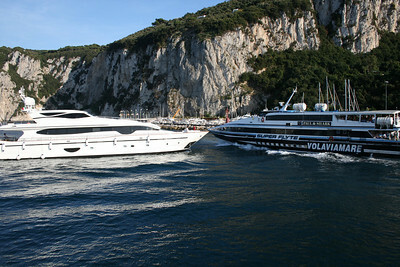 Near collision with a yacht. 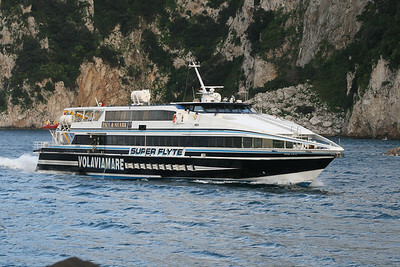 HSC SUPER FLYTE departing from Capri to Sorrento. 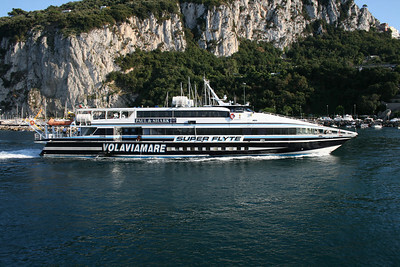 HSC SUPER FLYTE arriving to Capri. 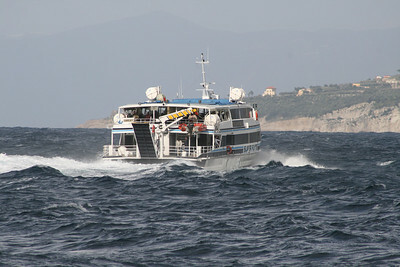 HSC SUPER FLYTE departing from Capri to Sorrento on a very bad sea. 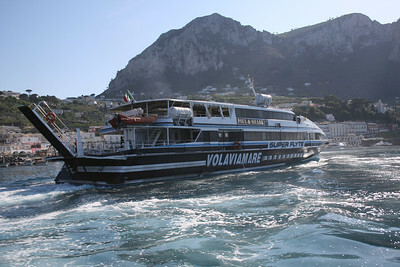 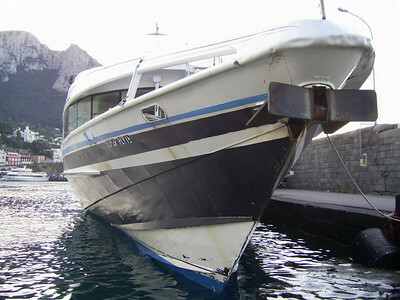 HSC SUPER FLYTE mooring in Capri. 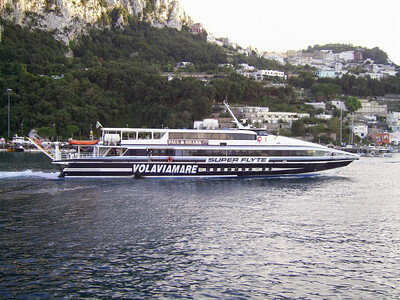 HSC SUPER FLYTE in Capri. 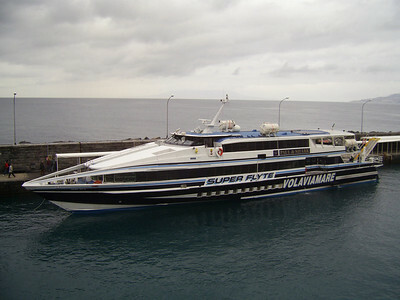 HSC SUPER FLYTE in winter laid up in dry. 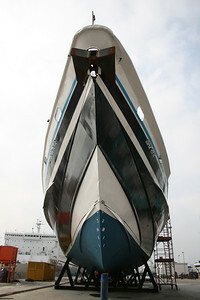 Seen from below the bow. 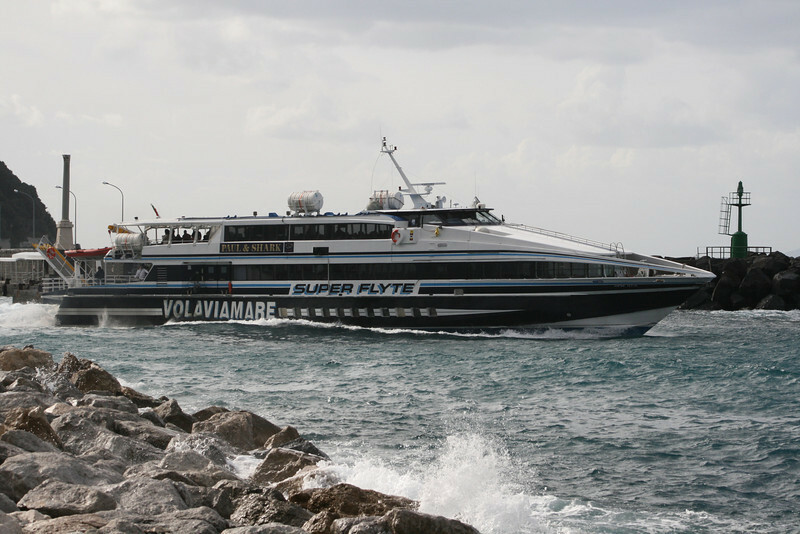 HSC SUPER FLYTE in winter laid up in dry. 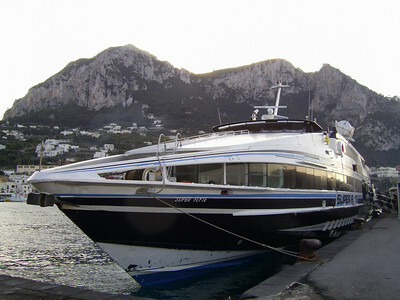 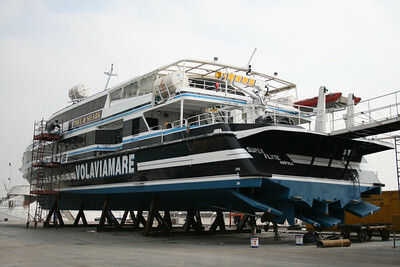 HSC SUPER FLYTE moored in Capri. 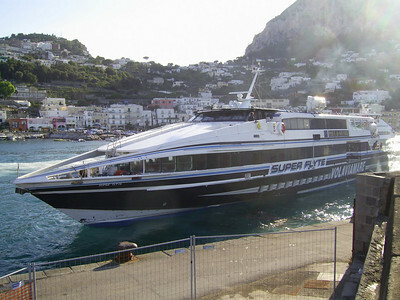 HSC SUPER FLYTE moored in Capri. 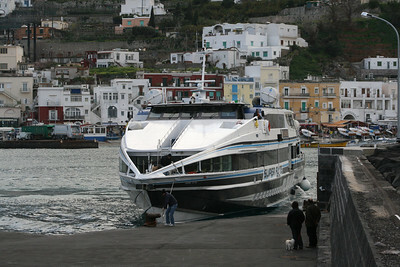 A view of the bow. 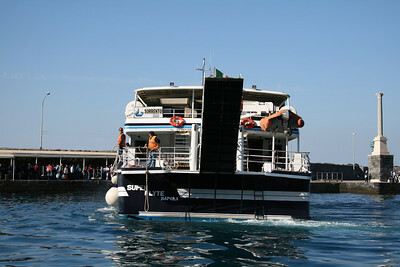 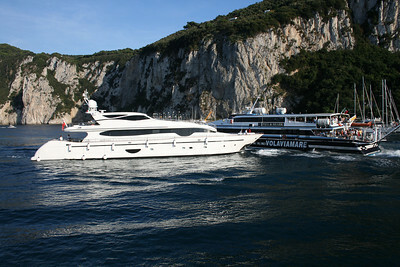 HSC SUPER FLYTE unmooring in Capri.